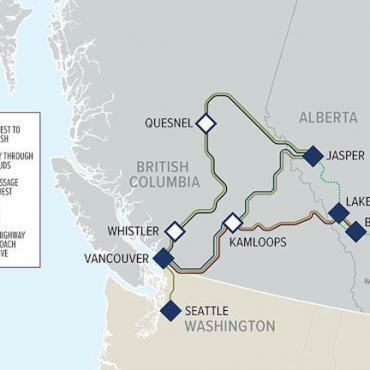 Follow in Michael Portillo's tracks as he embarks on a scenic rail adventure aboard the world’s largest privately-owned daylight luxury tourist train, the famous Rocky Mountaineer, in his latest BBC 2 'Great Canadian Railway Journeys' series. 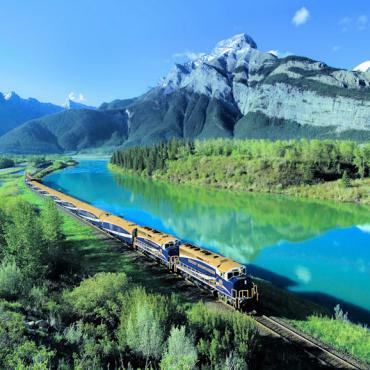 Rocky Mountaineer, considered the world's most spectacular train journey, is THE way to experience Canada. 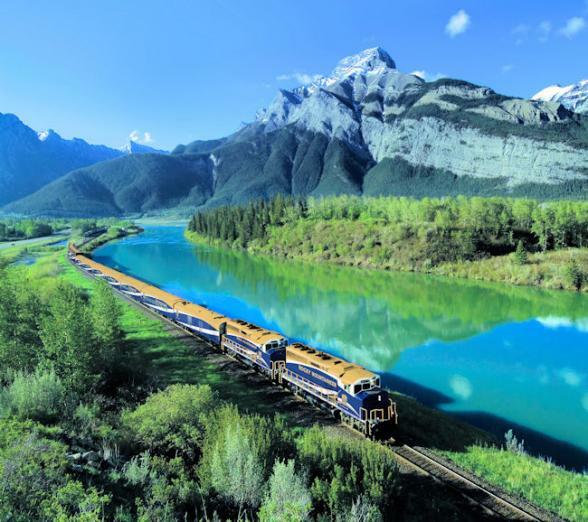 From your amazing vantage point aboard this luxury train, you'll cross the breathtaking Canadian Rockies. Without a doubt, the glass domed coaches offer the most incredible panoramic views. The train travels by day, so you don’t miss a single waterfall, mountain or opportunity to spot wildlife. Every comfort is provided for whilst onboard and breakfast and lunch are culinary adventures of their own. Reflecting the regions through which the train travels, local ingredients and produce are incorporated with a Michelin-trained chef’s inspiration from the landscape. At nightfall, the train stops and you and your luggage are transferred to a local hotel for a comfy night’s sleep. Bright eyed the next morning, you do it all over again. We promise, this is an experience you’ll remember and share for years. Rocky Mountaineer offers three levels of service: SilverLeaf, GoldLeaf and GoldLeaf Deluxe. Whichever you choose, you're in for something extra special. 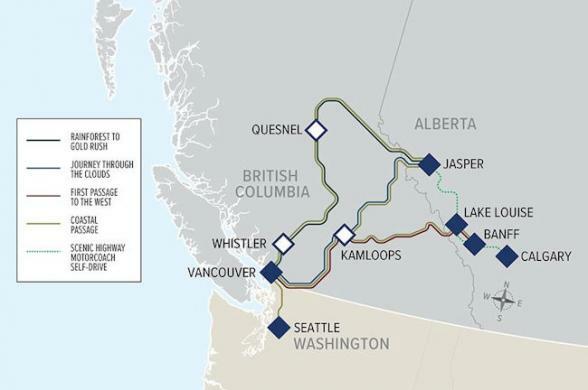 Take a look at the various Rocky Mountaineer options..... First Passage to the West, Journey Through the Clouds, or Rainforest to Goldrush. Or, you may wish to consider our set escorted fly/rail holidays, Grand Rail Circle, First Passage to the West Highlights or Journey Through the Clouds Explorer. We'd love to help you decide which option is best for you. To order your copy of the Rocky Mountaineer luxury train guide click here. Gourmet breakfasts and lunches from an a la carte menu, served in the lower level of the dome and created by Michelin trained chefs. GoldLeaf Deluxe features all of the above with upgraded hotel rooms with superior views.